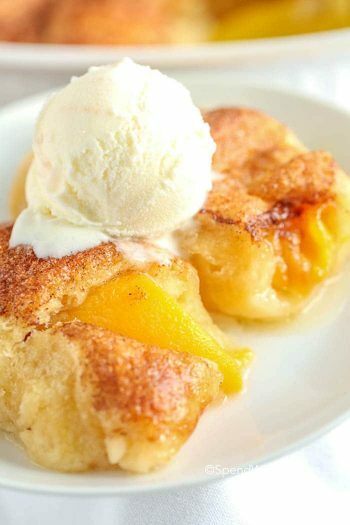 Peach Cobbler is a delicious dessert recipe that is so easy to make it will quickly become a family favorite! 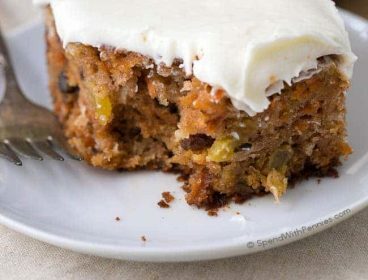 Tender juicy peaches in a buttery cake that takes just a few minutes to prepare! 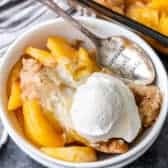 Top this easy peach cobbler recipe with whipped cream, vanilla ice cream or a splash of cream for the perfect dessert. This Southern Peach Cobbler is one of my favorite dessert recipes of all time! 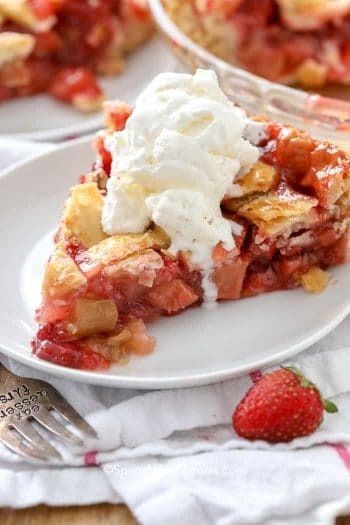 Peaches that are freshly harvested are simply the most delicious and are absolutely perfect in this recipe although I use frozen peaches to make it a year ’round treat! 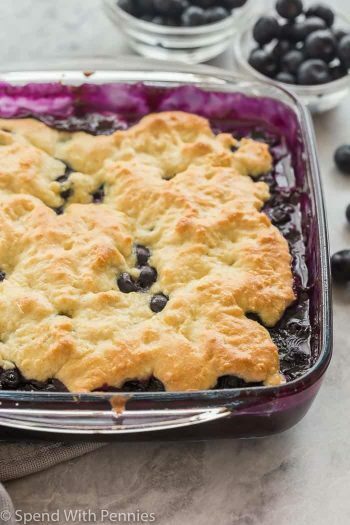 I often make a Blueberry Cobbler which has a delicious crust more reminiscent of biscuits however this easy peach cobbler recipe has more of a cake-like consistency. A Peach Cobbler has a cake layer topped with juicy peaches. The cake bubbles and surrounds the peaches creating the perfect combination of sweet, tender peaches and cake. 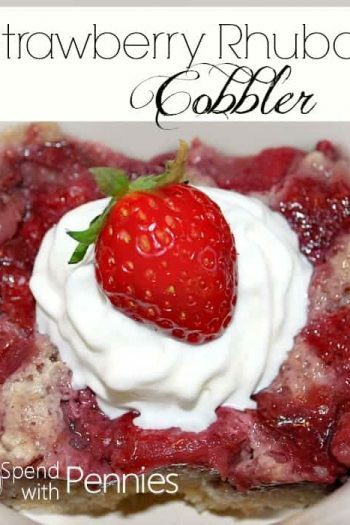 Cobbler can often be confused with a fruit crisp and while the differences are slight, they’re important. A crisp has a streusel-like topping made with a combination of flour, butter, spices, oats and often nuts. A cobbler has either a biscuit or cake-like layer. 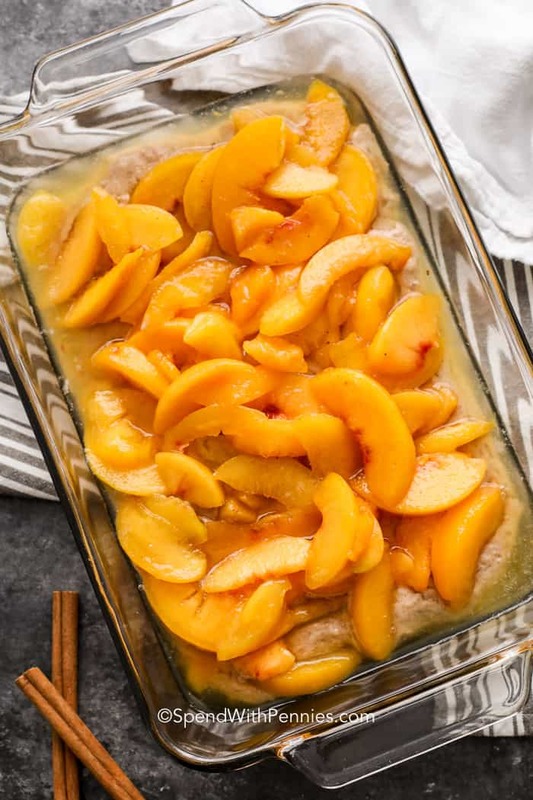 You can make peach cobbler with canned peaches, fresh or frozen! 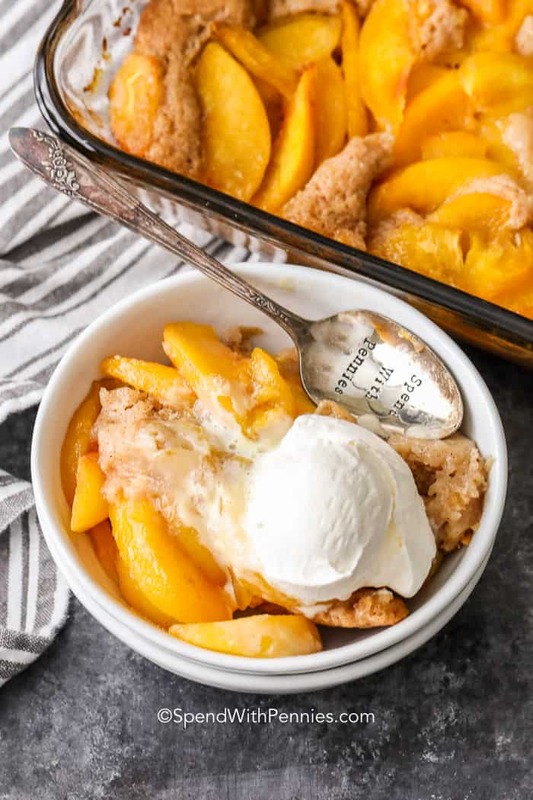 Some people make cobbler with bisquick or cake mix but honestly, it’s so easy (and tastes so much better) to make a peach cobbler from scratch! 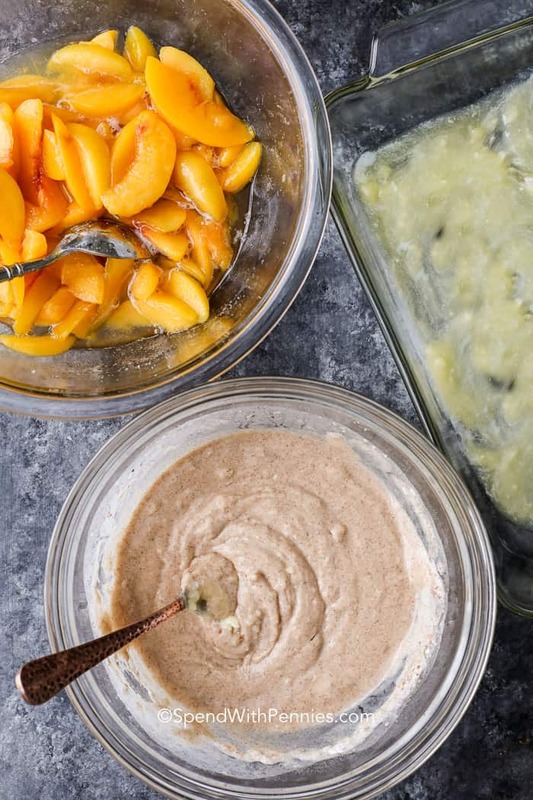 Making Peach Cobbler is really simple (YAY!). 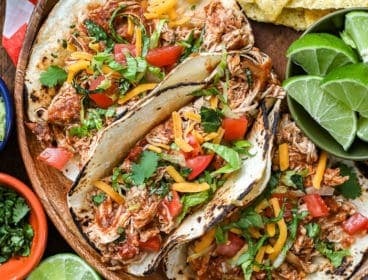 I use frozen peaches to make this quick and easy but of course you can use fresh! 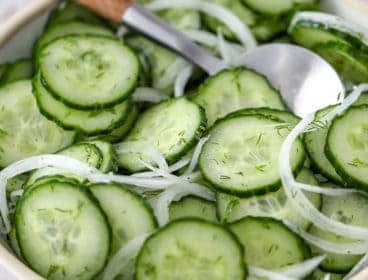 If using fresh you’ll want to remove the skins (which is super quick and easy just like peeling tomatoes). If your peaches are sweet, you may like to reduce the sugar in this recipe! Defrost peaches if frozen. Add sugar while preparing remaining ingredients. Melt butter and place in the baking dish. Combine batter ingredients and spread over butter. Top with peaches and bake. Crazy easy right? I love the addition of cinnamon to the batter so it’s in every single morsel but it does alter the color. If you’d like a white cake batter, you can certainly sprinkle the same amount of cinnamon over top of the peaches with delicious results! 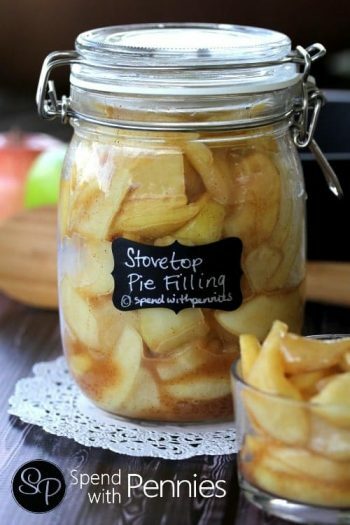 How to Store Peach Cobbler? If you are lucky enough to have peach cobbler left over, you can just cover it with either foil or plastic wrap and refrigerate. 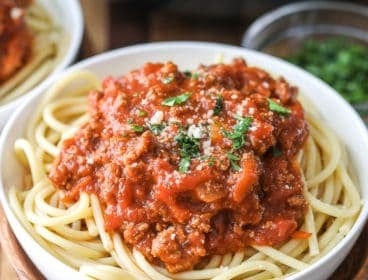 It will last for about 3-4 days – that is if your family will not get to it first and finish it off! Can you Freeze Peach Cobbler? Yes, peach cobbler freezes beautifully! Peach cobbler should be assembled, baked and cooled before freezing. Once cooled, seal it well and freeze up to 6 months. 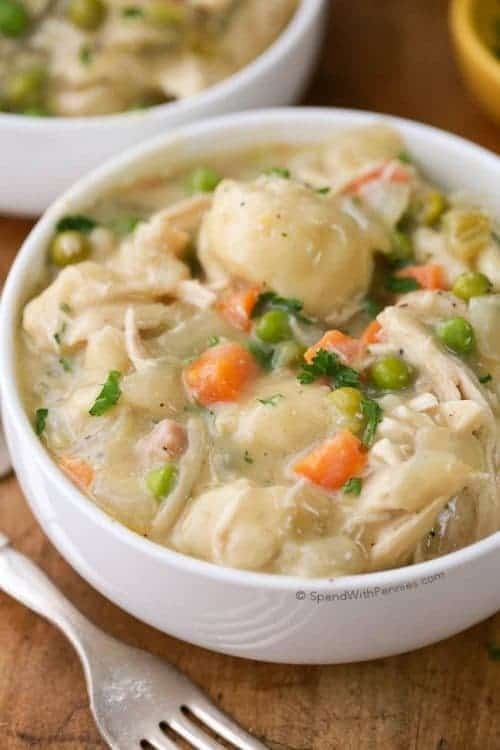 To reheat, simply defrost in the fridge overnight and heat in the oven (or microwave) until warmed. Classic Apple Pie – Perfection! 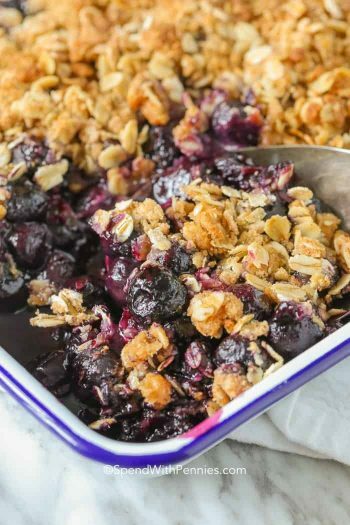 Blueberry Pie Bars – So easy! Tender juicy peaches surrounded by a buttery cake layer. Combine peaches with 1/2 cup sugar. Set aside. 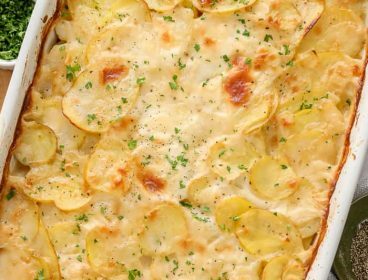 Pour butter into the bottom of a 2qt baking dish. Combine flour, baking powder, salt, brown sugar, remaining 1/4 cup white sugar and cinnamon, mix well. Add milk and stir just until combined. Spread over butter mixture. Top with peaches (and any juices). 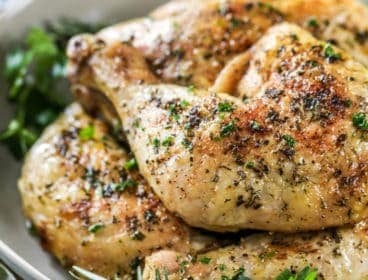 Bake for 45-55 minutes or until set.